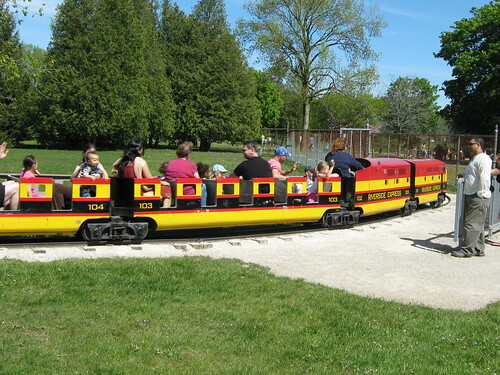 One of the most popular attractions for kids in Riverside park is the miniature train. They adore the 10 minutes ride to have fun, enjoyment, exciting and adventure together with the whole family, kids and friends. This picture was taken during Canada day.